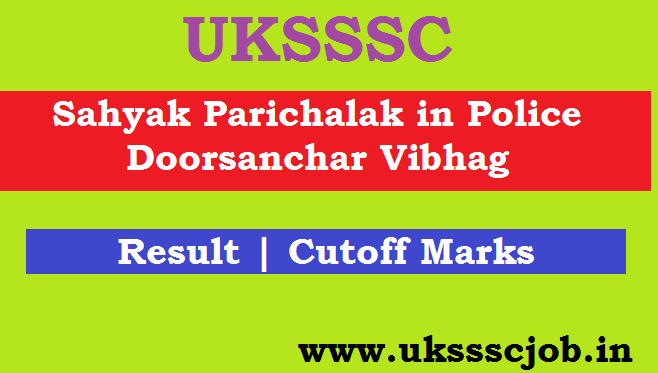 Today uksssc Declared the result and cutoff marks of Sahyak Parichalak in Police Doorsanchar Vibhag. So candidates who appeared fot this exam can check their result and marks . In the Home Page itself, the Results/Answer Keys button is available. Click on the button and search for the appropriate Cutoff Marks. Click on the Pdf link given there. Finally, Download the UKSSSC Answer Key, Cutoff & check the Answers Provided in it. After Knowing the Marks Later check the Cutoff Marks.